The Havre area was inhabited for many centuries by many Native American tribes. With the building of Fort Assiniboine in 1879 came the first white settlers. With the coming of the railroad came more settlers and they became merchants, business people, farmers, ranchers and entrepreneurs. As their finances increased so did the need for permanent housing. These homes consisted of many forms of popular architecture, some of which still proudly exist today. The Havre Residential Historic District was placed on the National Register of Historic Places in 1989. 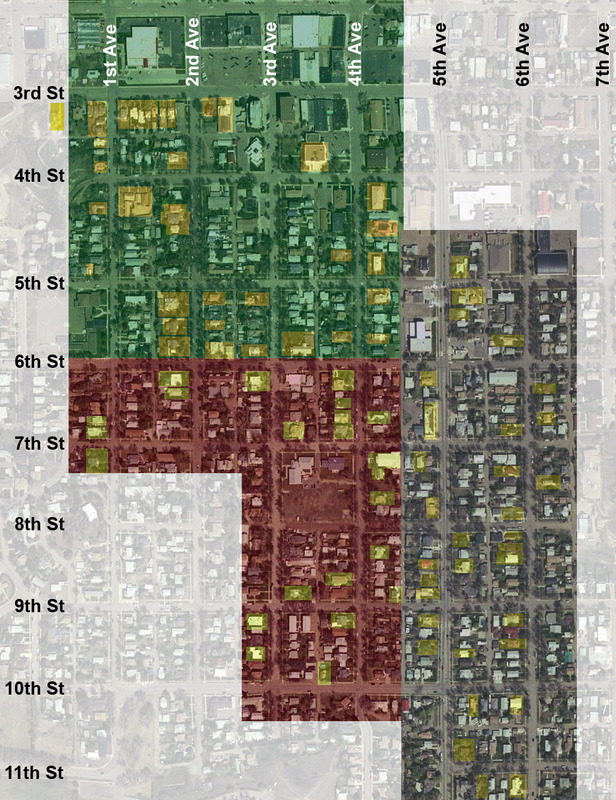 The Havre/Hill County Historic Preservation Commission hopes you enjoy both walking tour maps. These are available at the Havre Chamber of Commerce and the Havre/Hill County Library.